On the 7th of February 2012, the college had an official visit by H.R.H. Edward The Earl of Wessex. 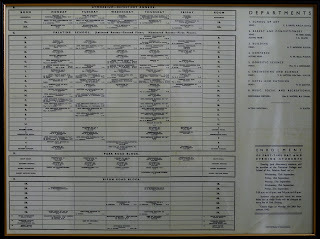 I can not recall an official visit by royalty before although it seems that other members of the royal family have visited the college as students. Edward, the Duke of Wessex about to meet the principal Pauline Waterhouse O.B.E. Hidden away at the top of the stairs in the main building are two plaques dating back to the beginnings of the college. 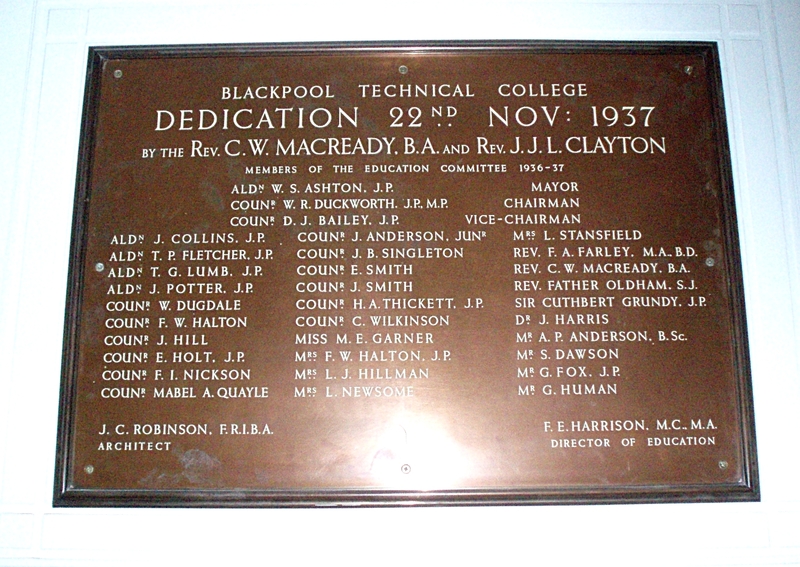 At the time the college was known as "Blackpool Technical College" Who knows how many staff and students have walked past these two plaques and not even noticed them let alone even read them. Of course I can include myself in this, as I have even attended twice! 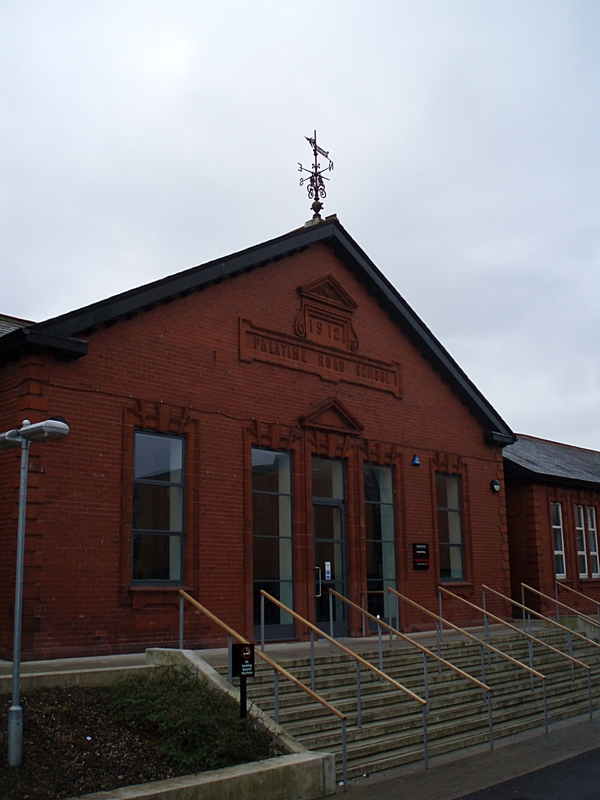 There are some more photos of the college now after the rebuild and modernisation in the Datastore too. This is the information on the plaques. 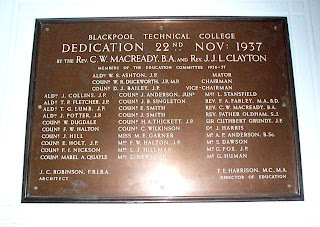 The second plaque referring to the opening on the same day faces the dedication plaque. Many of the names are the same. K.T. P.C. LL.D. D.C.L. LITT.D. F.R.I.B.A. F.S.A. F.R.S. H. BANKS. M.I.M. & CY.E. 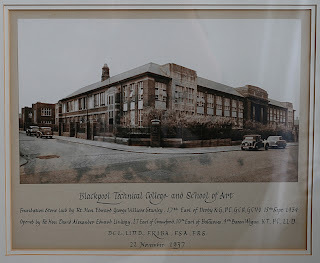 The college was built in 1936 to 1937 by Potts, Son and Hennings, They also built the town hall as well as Raikes Parade, which was another part of the college. These architects were very busy in the north of England. Edward Potts was well known for designing Mills. Buried away in a corridor out of the way there are 4 framed pieces. 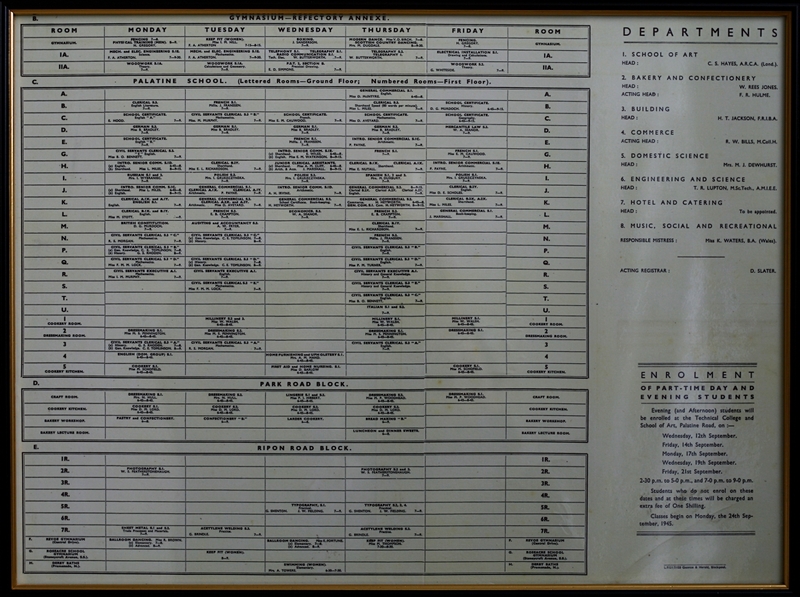 2 are photos and 2 are old timetables. Seems a pity to let them either disappear into a skip. or into somebodies study. 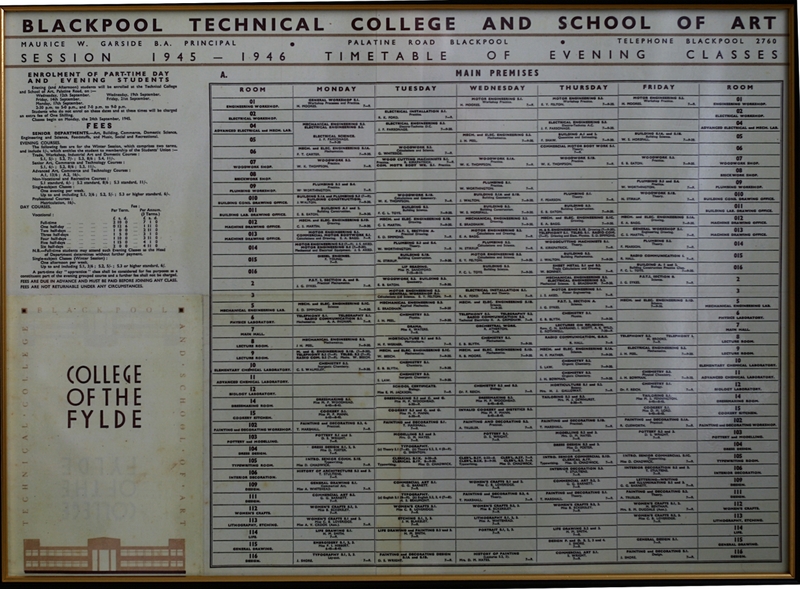 Some of the subjects are no longer taught! I think the prices of courses are pretty much the same too! This is an image of the St Anne's Campus. 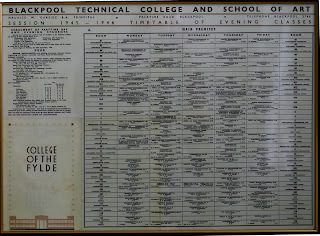 It did seem to be used for mainly night schools and practice by the "Big Band" The college sold it under a previous administration. Much of the college buildings were sold and then flattened for building. This is one of the few that actually remain. 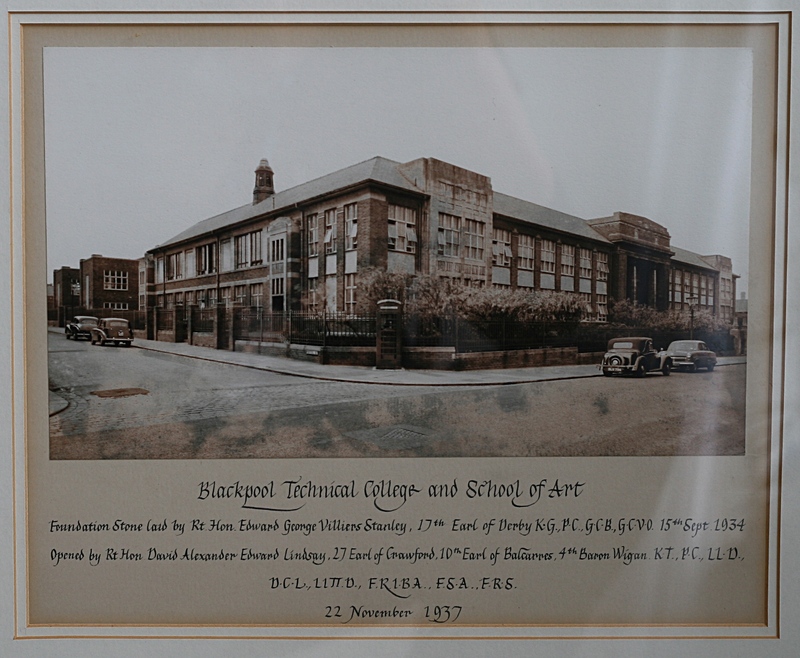 This photograph shows the front of the old Blackpool Grammar School. 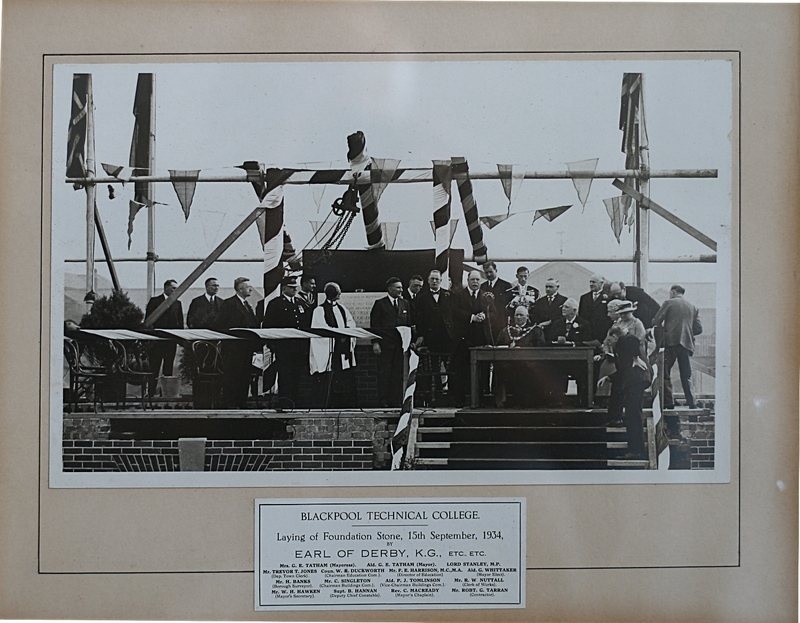 It is now part of Blackpool and the Fylde college. Called South Building it is now largely devoted to mature students as well as Higher Education. Extensively remodeled over the years at least twice when I was there. Many of the Further Education courses have gone to Bispham campus.The South Building entrance is literally 60 yards from the rear of the main building. Built in 1912, the Grammar School predated the college by 25 years. 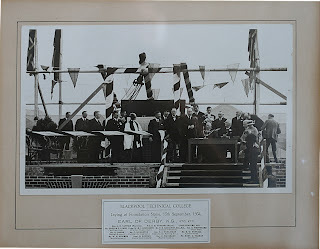 There is a selection of photographs from this area of the campus here as well as Fleetwood.